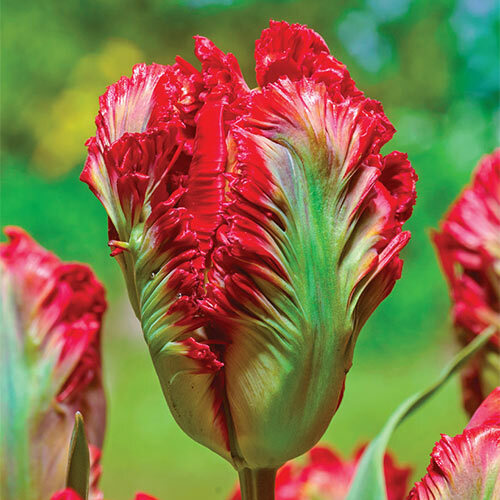 Jazz up borders and beds with the flamboyant blooms of this heavily feathered parrot type. Showy flowers boast a tricolor palette of red, green and white. Plant with classic white or sunny yellow varieties for a dreamy springtime display. Makes a fi ne cut-flower choice. Easy to grow. Feathered flowers, approx. 5" in diameter.